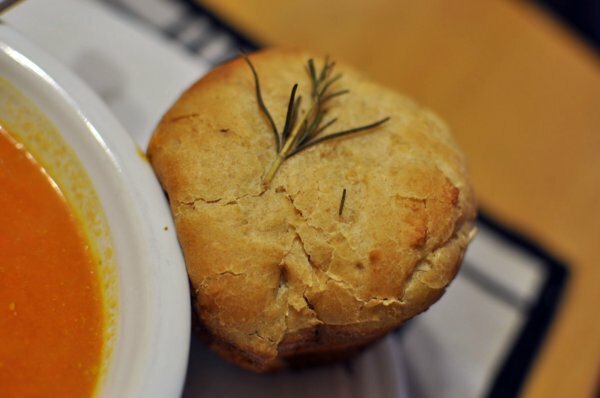 There is just something magic about bread. Specifically home made from scratch yeast bread. Nothing compares. Just look at the crusty top and you know there is a soft, chewy bread interior in this bun, right? I could go on and on about this recipe. These buns are the easiest from scratch rolls I’ve ever made – there is no kneading involved and the dough is all mixed by an electric mixer or on a mixing stand. The recipe is versatile and you could easily swap ingredients in and out to change the flavors. I beg you, if you try no other new recipe this Thanksgiving, try this one! You will not be disappointed. 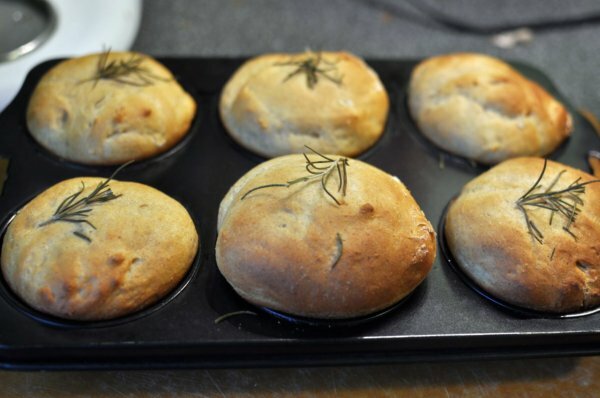 These buns are also excellent the following day, and so could be made in advance. This post may seem over the top, lengthy, and photo-heavy, but that is how I am about a good yeast bread recipe. I savored writing this entry almost as much as I savored eating three of these buns tonight. 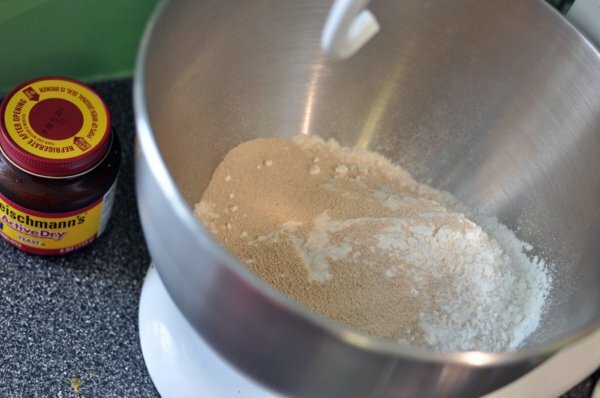 In a large mixing bowl, combine 3 cups all-purpose flour and 2 packages active dry yeast. 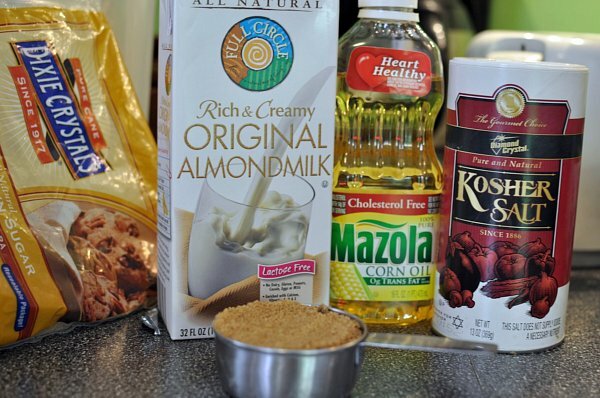 In a saucepan, heat 2 cups milk, 1/2 cup packed brown sugar, 3 tablespoons cooking oil, and 1 teaspoon salt until warm (120 to 130 degrees), stirring constantly. Use a thermometer to measure the temperature of the mixture as you heat it up. 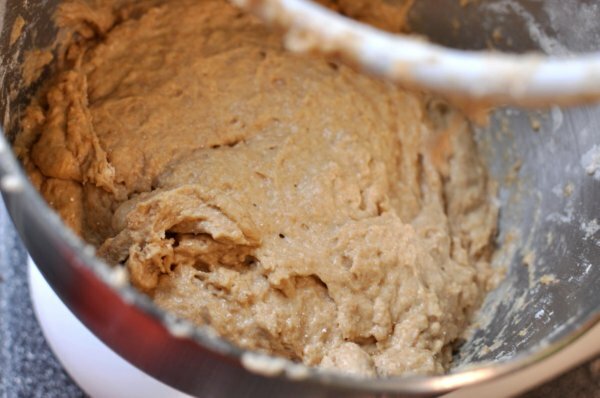 This step is crucial, too much heat = dead yeast and too cold = yeast will not ferment and your bread will not rise. 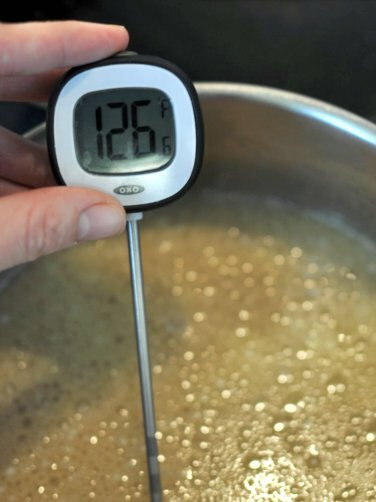 I have gone through at least 5 digital thermometers in the past 10 years, but have found that this tried and true Candy/Deep Fry Thermometer just keeps working. It isn’t digital, but maybe that is why it has lasted! Return to low speed and beat in 2 cups of whole wheat flour. This is a lovely heavy dough and quite sticky, but like I mentioned before, there is no kneading! 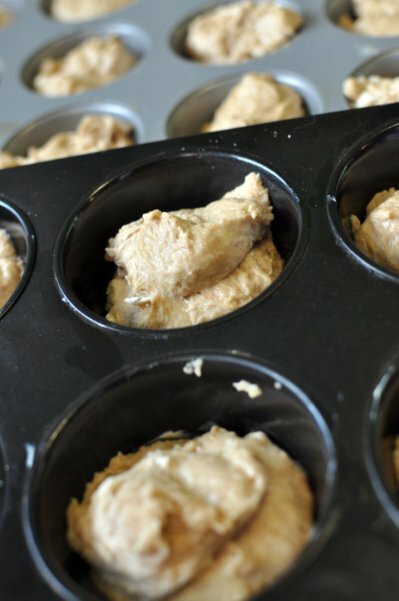 Fill greased muffin pans 1/2 full. Cover and let rise till double, about 25 minutes. If your house is cool, turn the oven on at 350 degrees for one minute, turn off, and allow dough to rise in the oven. 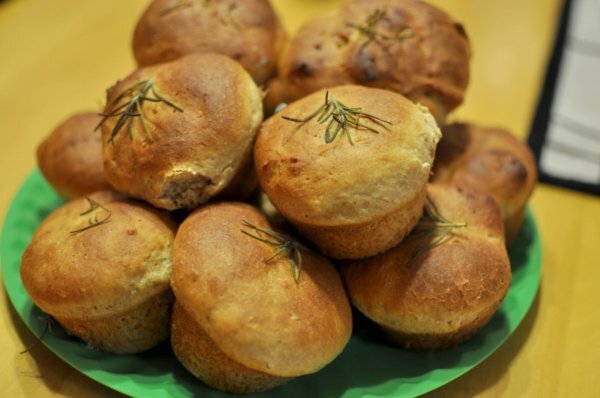 Add sprigs of fresh cut rosemary to the top of each bun. Bake in a 400 degree oven for 15 – 20 minutes or till golden on top. Note: dark pans will create darker buns. Remove from the pans; serve warm. Makes about 24 buns. Look how beautiful these babies are! 1. 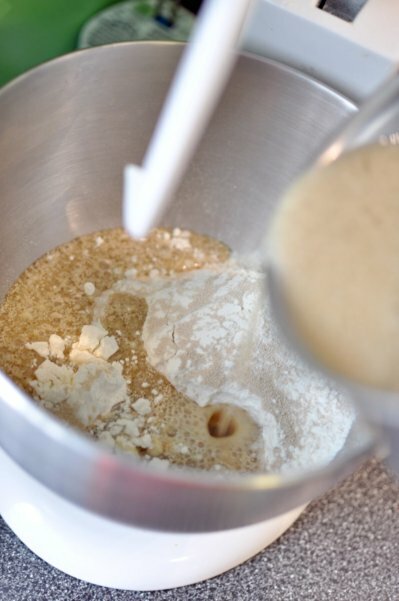 In a large mixing bowl, combine 3 cups all-purpose flour and 2 packages active dry yeast. In a saucepan, heat 2 cups milk, 1/2 cup packed brown sugar, 3 tablespoons cooking oil, and 1 teaspoon salt until warm (120 to 130 degrees), stirring constantly. Add to the flour mixture. Add 2 eggs. 2. 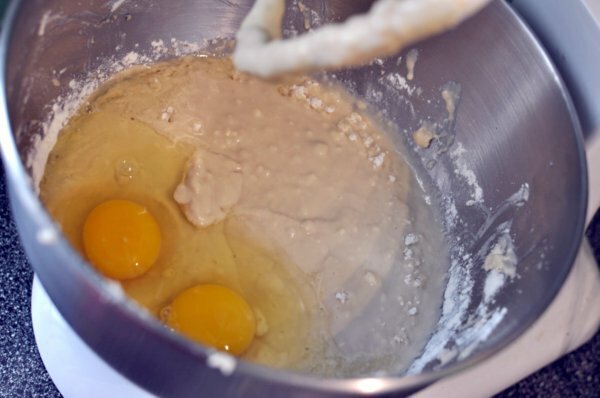 Beat the batter with an electric mixer, using a dough hook, on low speed for 30 seconds, scraping the sides of the bowl. Beat batter on high speed for 3 minutes. 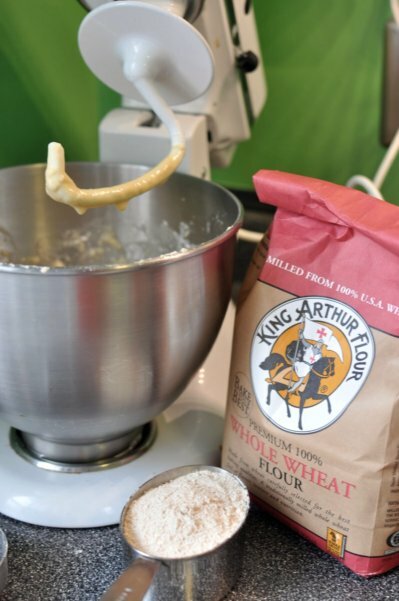 Return to low speed and beat in 2 cups of whole wheat flour. 3. Fill greased muffin pans 1/2 full. Cover and let rise till double, about 25 minutes. 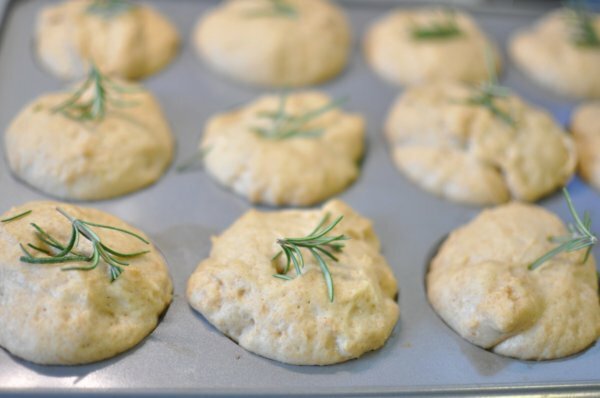 Add sprigs of fresh cut rosemary to the top of each bun. Bake in a 400 degree oven for 15 – 20 minutes. Remove from the pans; serve warm. Makes about 24 buns.